Selling a motor home might not seem like a big deal at first, but when you notice prospective buyers calling off the deal once they’ve taken a look inside your vehicle, you might start wondering what’s wrong. On the outside, your RV might look fine, but the interiors are a different matter altogether. Your motor vehicle might have everything going for it, but if it doesn’t make a good impression on the viewers, then they might lose interest. So when you ask yourself what can I do to help sell my RV, consider upgrading the wallpaper. Not only will this help create a better first impression, but can also change the overall appearance of your RV interiors for the better. You have two options at your disposal – first, you can upgrade the overall look of your RV wallpaper by changing it and installing a new one in its place; second, you can simply paint on your existing wallpaper. You may be wondering if the interior wall covering in a typical RV can be painted over or not. Perhaps you’re considering some other options in its place. It could also be possible that you don’t think that the look of your RV warrants any change, but needs a brighter and cleaner appearance instead. No matter what sort of alterations you want to get done on the inside of your RV, you can change things up rather easily. If you are not very happy with the way the wallpapered interiors of your van look, you might try to paint the walls. But before you begin to do so, there are certain questions that you might want to ask yourself. For example, do you just wish to change a wallpapered border on your RV or do you want to paint your walls with a completely new color? You need to ask yourself whether you wish to use new wallpaper on your RV walls or simply paint over the surface to give it a fresh appearance. Why Be Careful With RV Wallpaper? The wallpaper that is used to cover the inside of your motor home is not necessarily of the same quality as the one used for homes. RV wallpapers are unique because you need to install these on the inside paneling located outside of the RV. Sometimes, you can even heat-bond wallpapers to the wooden walls. These types of wallpapered panels are then installed inside the camper on an assembly line. You will find a vinyl protective strip on the seam of every sheet on the RV wallpaper. This is why removing the wallpaper proves to be a lot messier and difficult than in regular homes. If you’re going to be dealing with this sort of hard-to-remove wallpaper, you might add a different wallpaper layer on top of the old one. As soon as you’ve chosen the right design for your RV, you can use the wallpaper paste to hang the new sheets over the old ones. Wallpaper paste contains extra adhesive which enables new wallpaper to stick firmly to smooth, glossy surfaces. Redoing the inside of your RV might be a good idea before you sell it off since this will enable you to attract better buyers and get better deals on your vehicle. However, be careful about the wallpaper design you choose. It may be a good idea to choose neutral shades for your RV interior. 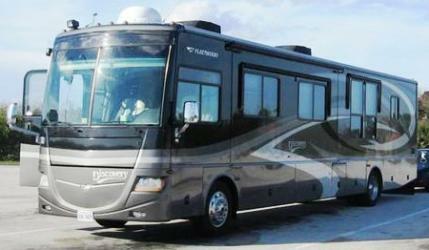 If you’re unsure about the work and are wondering who can help sell my RV, get in touch with professional RV services. They can help to make adjustments that will ensure that buyers are satisfied with the way your RV looks.